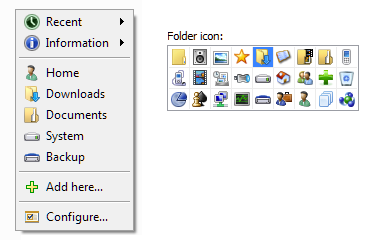 Added: Ability to switch file dialogs to Large and Extra Large Icons modes. Added: Changing ‘Load at Windows startup’ option without admin rights. Fixed: Auto set view and sort modes under Windows Vista/7. Fixed: Detecting currently open Explorer windows. Fixed: Showing path of current executable for 64bit apps. Fixed: Double-clicking in file dialogs with files grouping. Fixed: Not showing drives with more than 1 TB in size.